Learn how you can setup single sign-on to Salesforce.com and other SaaS applications using IBM Security Access Manager. 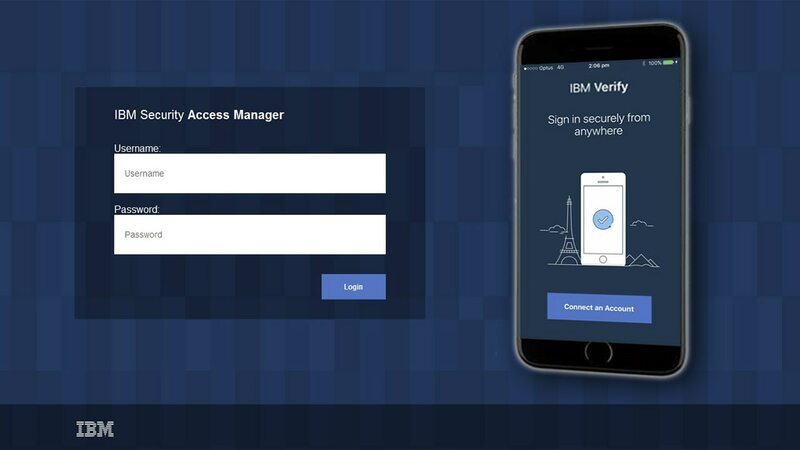 Reduce your customers’ reliance on insecure passwords with mobile authentication using IBM Verify. IBM Security Access Manager has been named a Leader in the inaugural 2018 Gartner Magic Quadrant for Access Management. Get an in-depth review of ISAM's features for authentication, risk-based access, federation and multifactor authentication. With simple definitions and ready-to-use checklists, determine the right access management approach for your business. Learn how you can go beyond passwords and prepare for tomorrow's authentication methods. Read this datasheet to learn about IBM's approach to single sign-on, web protection & more with IBM Security Access Manager. Learn how IBM Security Access Manager and Cloud Identity work together seamlessly for cloud SSO. Learn how POST Luxembourg enhanced their customers' experience with single sign-on (SSO).